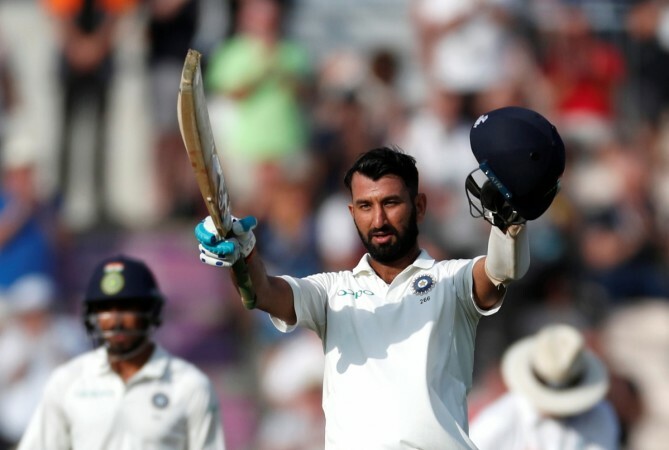 Pujara has also said that he does not think about pressure and wants to continue doing well against the Australians but is aware that this series will be a challenge. Cheteshwar Pujara is a person who usually stays away from the limelight. He is a batsman out of time – one who does not play the lofted stroke; likes to take his time to construct an innings; plays county cricket instead of the IPL and is purely a Test cricketer. He was tipped to be the next 'Wall' of the Indian batting as he plays in Rahul Dravid's position for the Test side. However, he has not done justice to his billing, especially on foreign soil and Pujara will be the first one to admit that. But his average of near 50 is better than any Australian in the Test squad yet there have been no talks about him. It has been all about Virat Kohli in the build-up to the Test series but Pujara believes the Indian batting unit plays as a team. 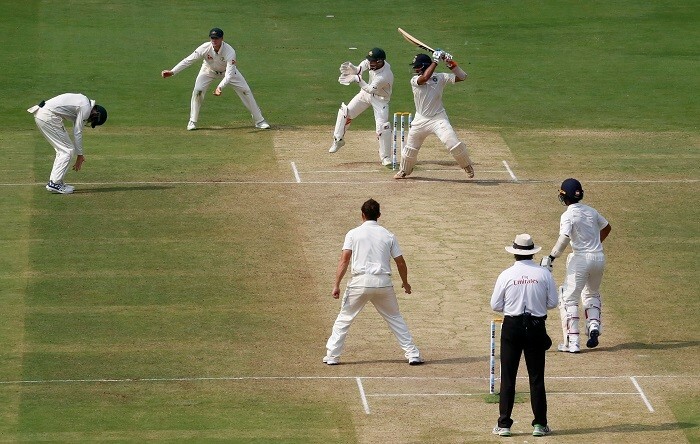 "To be honest we play as a team," Pujara told reporters on Monday. "And when we are out there batting, it's about batting as a unit." Pujara says he does not think about the pressure of Kohli's limelight and looks to perform to the best of his abilities every time he walks out to represent his nation. "I can't say whether it puts more pressure or less pressure," he said. "You go out there, you want to perform to the best of your ability rather than thinking about whether you have extra pressure or not. You always want to do well whenever you play for the Indian team. You have some goals as a batting unit and you want to accomplish that. "Most of our batters are experienced enough so when we go out there we just trust our preparation and try to perform to the best of our ability." Pujara, like a certain Hyderabadi called VVS Laxman, likes playing against the Aussies but believes that this series will be a fresh start. "It does help when you have performed well against a particular side," said Pujara "And when you have played some bowlers in the past you always know what are their strengths and weaknesses, what to expect from them. "So playing and performing well against them will help me in this series. But it will be a fresh start and I don't want to focus too much on what I have done in the past, I would like to stay in the present. "When the first Test starts, I am very confident. But at the same time I would like to respect the opposition." Pujara will be key to India's success in Australia as the visitors seek to correct their recent trend of batting failures on overseas tours.